At Holyrood, parliamentary scrutiny of the draft Scottish Budget will begin shortly. Some Scots will pay more income tax and council tax than their counterparts south of the border. The tax differential between Scotland and the rest of the UK is likely to increase year by year. 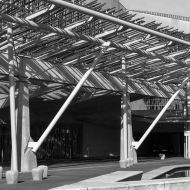 The New Year will bring renewed debate, explains Donald Drysdale, as Scotland’s minority government seeks political support for its draft Budget for 2017/18. 2017 promises to be an interesting year, in which the impact of the Smith Commission proposals to provide further tax powers to Scotland takes effect with income tax differentials proposed for higher rate taxpayers. The draft Scottish Budget which Finance Secretary Derek Mackay presented to the Holyrood parliament on 15 December brought controversy but no surprises. 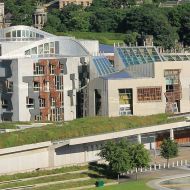 Controversy because the Holyrood political parties have divergent views on tax, and the minority Scottish National Party administration will have to secure the support of other MSPs to get its Budget approved. No surprises because the Budget proposals were in line with commitments the SNP had made previously. While interest may have subsided temporarily over the festive season, it will revive quickly. There is still no agreed Scottish Budget for 2017/18. Expect the corridors at Holyrood to be buzzing with political manoeuvring early in the New Year as the parliament addresses the tasks of scrutinising and enacting the Budget (Scotland) Bill 2017-18 and, in the process of doing so, setting income tax rates and thresholds by means of a Scottish rate resolution which must be passed no later than 5 April 2017. From 6 April 2017 the existing Scottish rate of income tax will be superseded. From 2017/18 onwards, under new powers contained in the Scotland Act 2016, the Scottish parliament will control the income tax rates and thresholds for taxing the non-savings non-dividend income of Scottish taxpayers. Mackay has proposed freezing the Scottish rates of income tax at 20%, 40% and 45% – the same rates that apply throughout the rest of the UK. He has resisted pressure to raise the Scottish additional rate to 50%, on grounds that doing so would risk loss of revenues as a result of behavioural changes by high-earning income tax taxpayers. Although the Budget claims to protect middle-income taxpayers, Mackay decided not to follow Westminster’s example of raising the higher rate income tax threshold by £2,000. Instead, he has proposed lifting the threshold for Scottish taxpayers by only £430 – in line with the increase in RPI. Given that Westminster is increasing the personal allowance by £500, this means that the basic rate band for Scottish taxpayers will be reduced from £32,000 to £31,930. The net result is that a Scottish taxpayer with non-savings non-dividend income of £45,000 or more will pay £314 more income tax than their counterparts in the rest of the UK. Under the fiscal framework agreed between Westminster and Holyrood, the Scottish Government is responsible for forecasting Scottish income tax receipts from April 2017, with the Scottish Fiscal Commission (SFC) as an non-ministerial statutory body providing independent scrutiny. Income tax is only partly devolved, and remains a shared tax. Westminster is responsible for defining the tax base and setting income tax reliefs and allowances. HMRC are still responsible for collecting and managing Scottish income tax, and for this purpose deciding who falls within the statutory definition of a Scottish taxpayer. There are concerns about HMRC’s ability to do this. Out of an estimated 2.5m to 2.6m Scottish taxpayers, HMRC overlooked 420,000 of these in their initial attempt to classify them. Accurate categorisation is crucial, not only for the Scottish Government but also for individual taxpayers. At a recent Scottish parliament finance committee meeting, HMRC assured MSPs that they have improved their processes for achieving this, so it is to be hoped that they will live up to their assurances. Rates of land and buildings transaction tax (LBTT) on residential and non-residential properties are to remain unchanged for 2017/18. Rates of Scottish landfill tax (SLfT) are to rise in accordance with the increase in RPI, keeping them in line with landfill tax rates in the rest of the UK and thus reducing the risk of encouraging cross-border waste disposals. Like Scotland’s new tram systems, fiscal devolution is arriving in stages – and may well involve as many bumps in the road. The Scottish Government is committed to reducing the burden of air passenger duty (APD) by 50% by the end of this parliament, replacing APD from April 2018 with a new devolved air departure tax in accordance with draft legislation published on 19 December. Aggregates levy is also to be devolved, but from a date yet to be determined. From April 2019 the first 10 pence of the standard rate of VAT and the first 2.5 pence of the reduced rate are to be assigned to the Scottish Government. Council tax is already devolved and has been frozen for 9 years, but from April 2017 Scottish councils may choose to increase it by up to 3%. In addition, owners of homes in council tax bands E, F, G and H will face additional increases of £105, £207, £335 and £517 respectively. For business rates purposes, properties are to be revalued in 2017 – not only in Scotland but also in England and Wales. In his Budget, Mackay has proposed matching the English poundage, representing a 3.7% drop in the tax rate, and expanding the small business bonus scheme by raising the eligibility threshold. If Mackay fails to increase revenues, he’ll be unable to protect public services. But if he raises taxes too far on high-earning Scottish taxpayers, they may find ways of reducing their exposure to Scottish taxes. For example, individuals might incorporate existing businesses to move income from Scottish income tax into UK corporation tax, they might convert earnings into dividend income, or they might simply migrate south of the border. With increases in income tax and council tax, many moderately successful Scots will find themselves paying higher taxes in 2017/18 than they would have done had they lived elsewhere in the UK. If Scotland wants to achieve above-average growth compared with the rest of the UK, perhaps there’s a need for greater incentives to encourage Scottish taxpayers to become high earners, contributing more taxes to support future public services. The Scottish Government is committed to increasing the Scottish higher rate threshold by no more than inflation in all future years of this parliament. By contrast, the threshold in the rest of the UK is to rise to £50,000 by 2020. Therefore, depending on the rate of inflation, the differential in income tax burden between Scottish taxpayers and their counterparts elsewhere in the UK is likely to grow year by year. This first step that the Scottish Finance Secretary has proposed, allowing income tax thresholds in Scotland and the rest of the UK to diverge, may seem small. But his decision to make Scots the most highly-taxed individuals in Britain could have long-lasting political consequences. And more immediately, the work of tax practitioners has just become more complex.